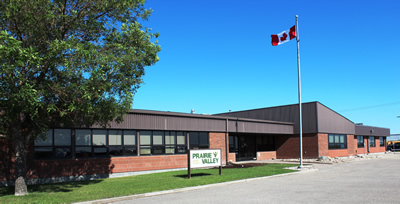 Prairie Valley School Division is hosting a series of “Parents as Career Coaches” information meetings at 11 schools across the Division, starting Tuesday, April 19 in Fort Qu’Appelle. Prairie Valley Career Counsellor Jennifer Bieber will host the meetings and provide an introduction to the newly developed Prairie Valley parent handbook titled, Looking at Life Beyond high School, A Career Planning Resource for Parents and Guardians of Teens. She will highlight many other resources available to assist parents as they travel through the career planning process with their children. Information regarding transitions to the world of work, travel opportunities and post-secondary options will be highlighted. Both parents and students are welcome to attend. The parent handbooks will be distributed during the information sessions. Fort Qu'Appelle: Tuesday, April 19 @ 7:00 p.m.
Lemberg: Wednesday, April 20 @ 7:00 p.m.
Balgonie: Wednesday, May 4 @ 6:30 p.m.
Whitewood: Tuesday, May 10 @ 7:00 p.m.
Kelliher: Thursday, May 12 @ 6:30 p.m.
Grenfell: Tuesday, May 24 @ 7:00 p.m.
Kipling: Wednesday, May 18 @ 8:00 p.m. Milestone: Tuesday, May 31 @ 7:30 p.m.
Indian Head: Wednesday, June 1 @ 8:00 p.m.
Southey: Tuesday, June 14 @ 6:30 p.m.